There are few things in life that one can do everyday to make themselves feel like a king at such good value. 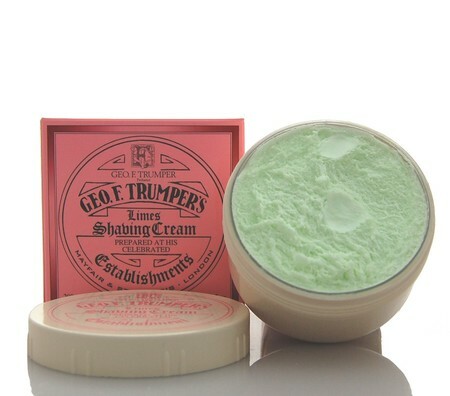 A wet shave is an art form that seems to have been lost amongst men born after the 50’s, the £400m-a-year UK wet razors and blades market is made up over largely by Gillette – it’s safe to say they have made a fortune by praying on the un-initiated. Multi cartridge blades from the likes of Mach 3 – are very expensive. 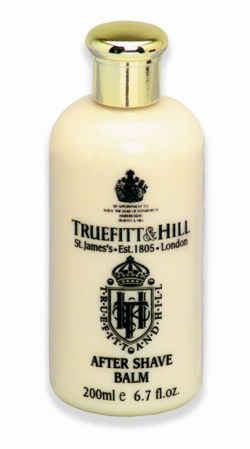 Shaving foam from a can is full of chemicals and leave the skin feeling sore: so what should An Aspiring Gent use? During the morning wash make a special effort to wash to face and neck (the neck area often gets inadequately warmed up which leads to razor burn – ouch). Fill the bathroom sink with hot water and leave the shaving brush to soak for a few second to warm up. Take the brush out of the water and shake of the some of the excess. Place a penny sized amount of shaving cream on to the brush, and in circling motions apply the brush to the face. The longer you use the brush – the softer the beard will become (After a couple of shaves you will get use to how long you need). With the your chosen shaving tool, start with short, downward motions on the top of the face from one side to the other, then the same on the neck – this is an area where many people get irritation so to avoid this use the shaving brush a little bit longer than you would think. This is referred to as the first pass and is shown below. 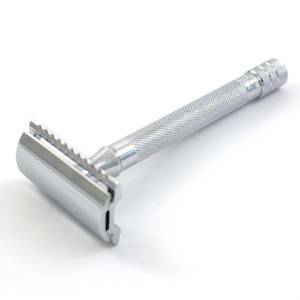 If using a cartridge razor you may be able to skip to the post shave stage, if you have decided to take the jump to a double edge razor, then first of all congratulation – not only have you saved yourself a small fortune on cartridges as razor blades cost an average 10p and can be used for 7 days – which is 200 times cheaper their cartridge cousins. The second benefit of the DE razor is that because of its single blade its removes far less skin – which is a major cause for irritation. The only potential drawback of this – compared to the 3+ blades of a cartridge – is that you may require more than one ‘pass’. 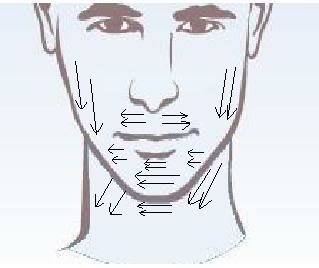 The second pass is done by moving the blade from the ear to the mouth as shown in the diagram below. After each pass shaving cream should be re-applied. The third pass (if needed) is shown below, it is normal to has certain areas, such as the chin, require a triple going over, if this is the case then the area can be done in isolation. Post shave is as important as the shave itself. 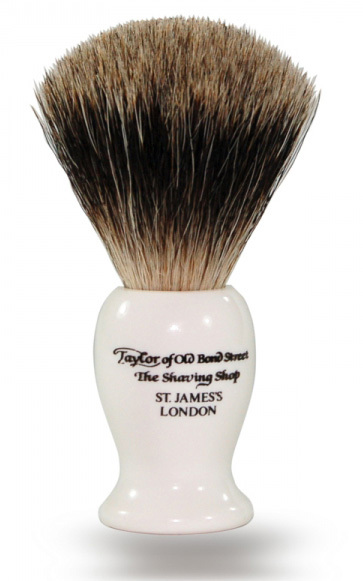 I like to use Taylors of Old Bond Street shaving shop aftershave gel (£11.95), which not only smells great, it leaves the skin feeling nourished. 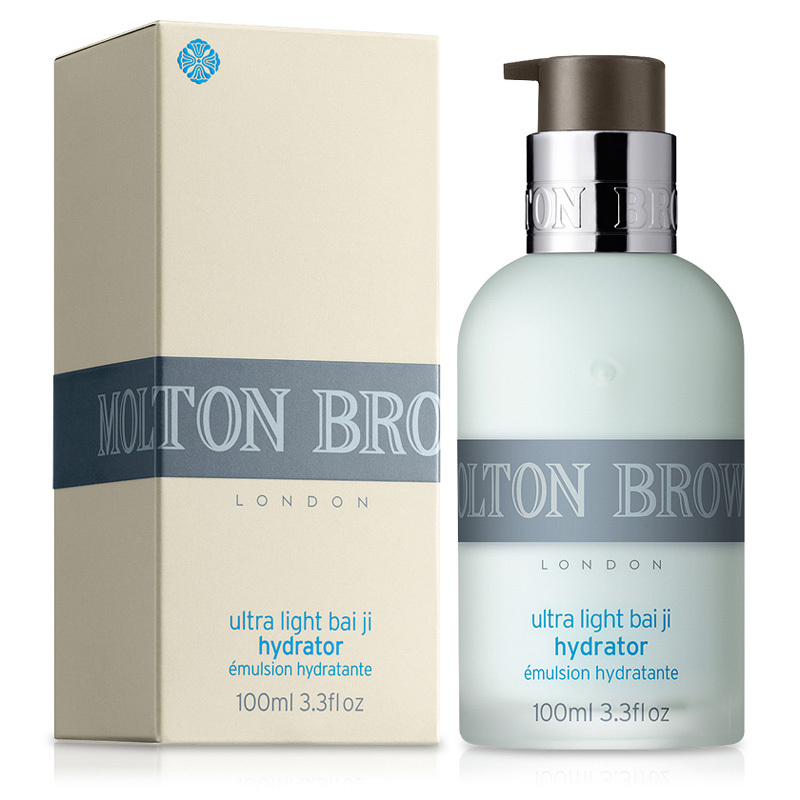 Another product I have used is the Ultra Light Bai Ji Hydrator by Molton Brown (£26.00). 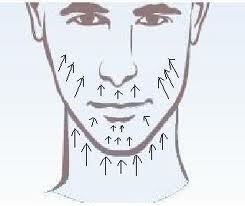 Without proper hydration after the shave the skin will undoubtedly feel uncomfortable. Nice post. I love wetshaving with a DE, soap, and brush.